Virginia is celebrated for its award-winning, life-changing and out-of-this-world-delicious ice cream. Home to some of the most highly-praised ice cream shops in America, you’re going to have the very best version of your favorite flavors in Virginia. 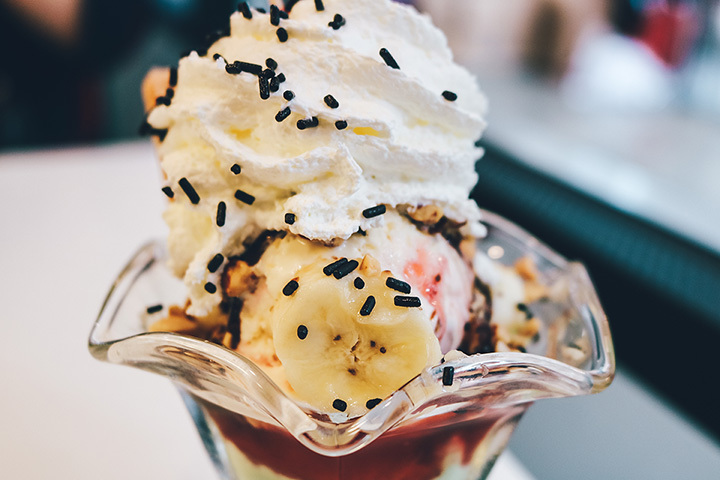 Your sweet tooth will beg you for more after stopping into these 10 excellent ice cream parlors in the state! Scooping up ice cream since 1975, Island Creamery on Chincoteague Island is one of TripAdvisor’s top 10 ice cream shops of 2015 from across the United States. It’s no surprise, really, when you consider the locally sourced ingredients, creative flavor additions like cinnamon and chili pepper, and the beautiful Chincoteague scenery. Just looking at the pictures will make your mouth water. According to Business Insider, Carl’s Ice Cream in Fredericksburg, Virginia, is a can’t-miss treat. The curbside ice cream stand is listed on the National Register of Historic Places and is known for its art modern architecture. Carl’s is known for its long lines, no matter the weather, and for its unique combinations, such as the maple nut sundae. Kline’s Dairy Bar has been in business since 1943 and has used the same quality ingredients and ice cream making techniques since their first day. Each location has different flavors available daily, in addition to chocolate and vanilla. Make sure to check the flavor cards on their website or in person so you don’t miss unique flavor days, like lemon gingersnap, orange cream, and peach. Dippers is the 2014 Virginia is for Lovers “Culinary Madness Champion.” Specializing in daily, homemade ice cream made in small batches, all the flavors are made with the freshest available ingredients. In addition to the incredible ice cream, cakes, and pies, Dipper’s has gone out of their way to make a welcoming atmosphere. Recline on an Adirondack chair, plan a game, or hang out in the porch area while you indulge on their latest creamy concoction. The Split Banana is a quaint gelato shop in Staunton, Virginia, serving gelato, an Italian ice cream alternative, and sorbet. Flavors of the month change regularly, in addition to the 18 rotating flavors like caramel peanut butter, papaya pineapple, baby ginger, and apple pie. Voted as one of the “Best of Virginia” in 2012 by Virginia Living Magazine, The Split Banana has received certificates of excellence from TripAdvisor for several years running. Pop’s offers a gob smacking 63 different flavors of ice cream, in addition to sundaes, sodas, and shakes. Ice cream is sold by the scoop and is made onsite. Try one of the specialty sundaes or the lactose free soft serve while you enjoy the retro atmosphere. Listed as one of America’s “Most Nostalgic Ice Cream Parlors” by USA Today and featured on “Diners, Drive-Ins, and Dives,” Doumar’s claims to have created the original waffle cone. Today, their waffle cones are still rolled in that same machine, originally built in 1904. Stop by for a barbeque sandwich and flush it down with a shake or a cone, with flavors like chocolate vanilla, cherry, root beer, and eggnog. Virginia’s second entry on TripAdvisor’s top 10 ice cream shops of 2015, Brown Dog Ice Cream’s aim is to capture the feeling of a childhood summer’s day. For them, ice cream is about the felt memories inherent in that first taste, and creating an atmosphere conducive to recalling that nostalgia. Foster, their chocolate lab is their primary taste tester and on-site mascot. Flavors include black raspberry, Italian cream, Bananas Foster, coconut almond crunch, and tons more. Winner of the Best of Virginia 2013 award, Sweet Things Homemade Ice Cream in Lexington, Virginia, has offered hand-rolled waffle cones and candy for over 30 years. Flavors include the old standbys like chocolate and vanilla, along with more unique tastes, such as honeydew sherbet and blue raspberry sherbet. Eight, more adventurous flavors alternate daily, including chunky Irish Girl Scout, Guinness, and pumpkin pie. Tons of specialty candy is also available. Ellis Soda Shoppe is housed in a former drugstore from the prohibition era. Today, a full menu of soda shop traditions, including hot dogs, fried bologna sandwiches, and ham-n-cheese sandwiches are slung across the counter along with hand made sodas, old-fashioned floats, and hand-dipped ice cream.